Find the hottest new homes in Durham below! Thanks to a booming economy and great quality of life, Durham is bursting with options for new construction homes. Whether you're looking for a single-family home or townhouse in a master-planned neighborhood or a trendy condo close to downtown, the listings are constantly updated with the latest listings, hot off the press. Best of all, new homes boast contemporary layouts with stylish finishes procured and assembled by industry professionals. 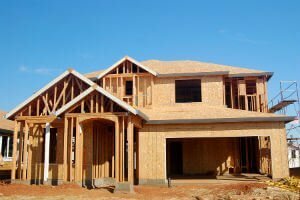 Browse all of the current new home listings below and keep reading to learn more about new construction homes in Durham and where to find them. There are so many advantages to buying new construction homes in Durham. First of which is that you'll never have to worry about what the previous owners did or how they cared for the home, because you'll be the original owner! In many cases, you can find a home that's still in development and have some say in the colors and features to really make it your own. Buying a new home doesn't necessarily have to come at a premium price, either. In Durham, new homes typically range in price from the low $200,000s to over $500,000, and their 2, 5, and 10 year warranties provide great piece of mind during your residency. From custom homes to master-planned communities, these developers have helped shape Durham's ever-changing landscape with homes that complement the natural history of Durham and beyond. From local builders to big-name developers, here's a sample of some of the most common names you'll find building in Durham. Never miss out on a beautiful new home in Durham! Register for an account to have the latest new construction listings in Durham sent to your inbox. If something's already caught your eye, get in touch with the My NC Homes team today to request a tour!